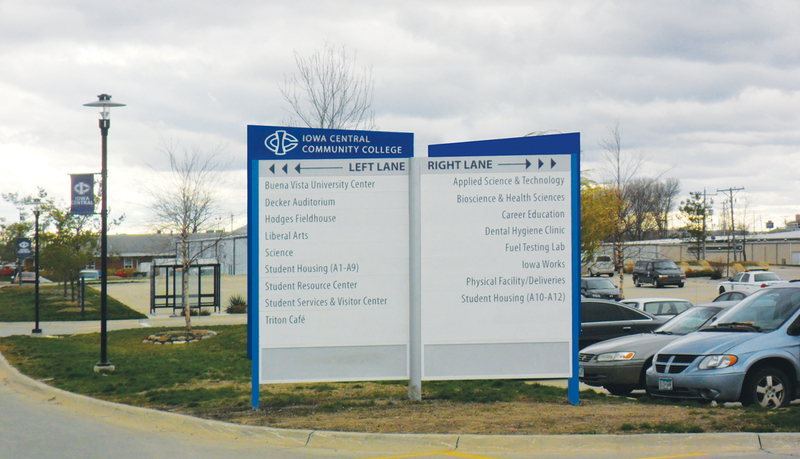 Iowa Central Community College strives to be the premier learning community, and college of choice, preparing the best citizens and workers from their region and beyond. 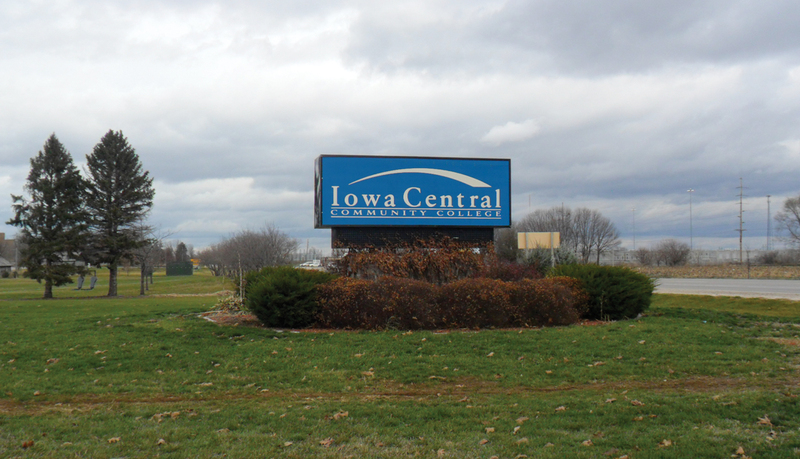 Iowa Central Community College (ICCC) was organized in 1966 with a broad man¬date to offer a vast array of educational opportunities to the residents of its nine-county area. 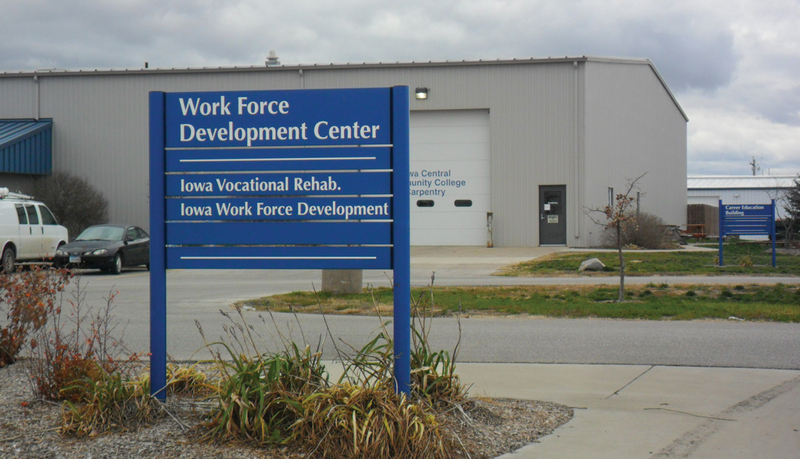 ICCC was built on the firm foundation of three area junior colleges which have been in operation since the 1920s by the local public school systems. 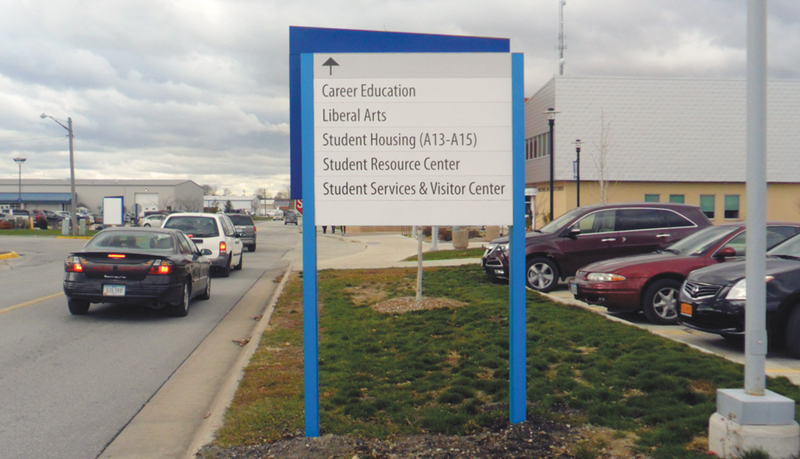 After a major campus expansion of multiple building projects which included new buildings and renovation of older structure and a complete campus re-design, ICCC existing signage had become outdated and inefficient. 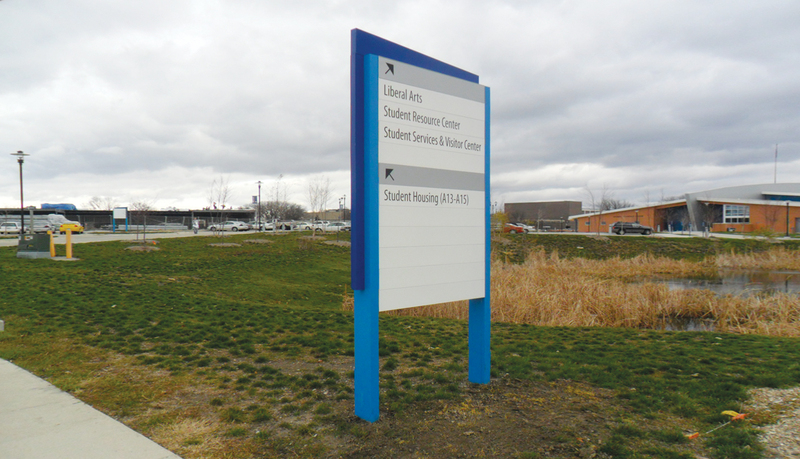 ASI, Iowa was engaged to prepare a wayfinding study and design a new signage master plan to bring out the school’s brand and colors, and bring the campus together with a universal look. 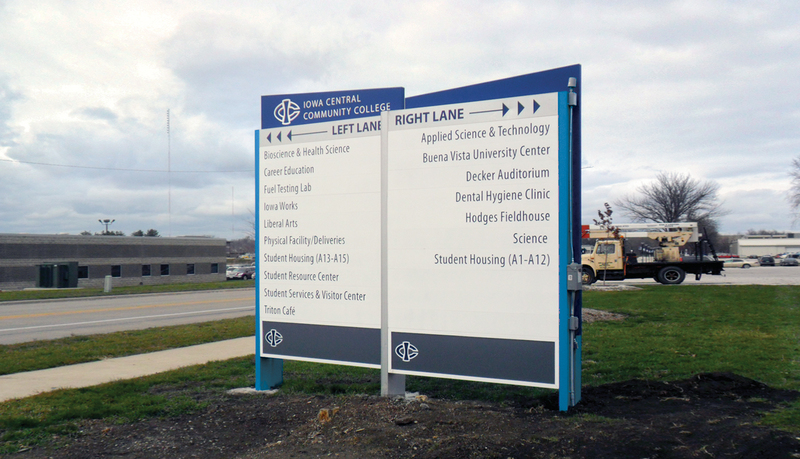 The client wanted a changeable system that would be practical to adapt to their growing campus, and a new sign system that would quickly attract attention of visitors unfamiliar to the site. 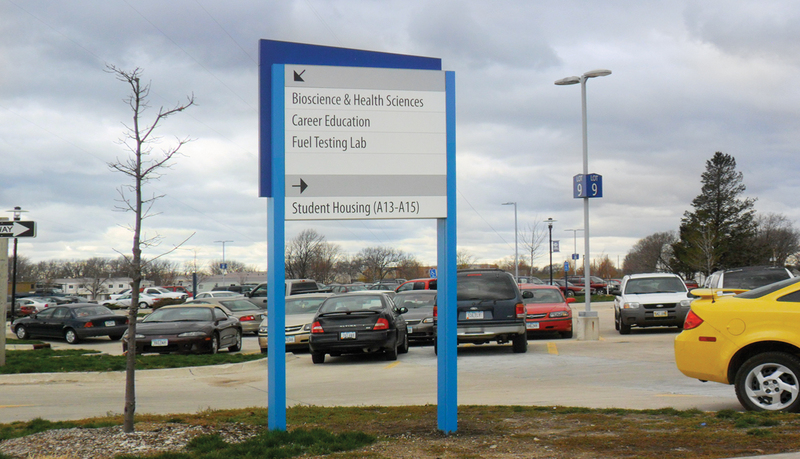 Custom aluminum exterior signage was used in a contemporary design that reflected the school’s buildings and colors. 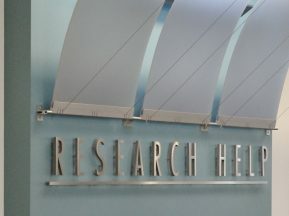 In particular, there was an angled fin motif on several of the building that was easily incorporated into the sign design. 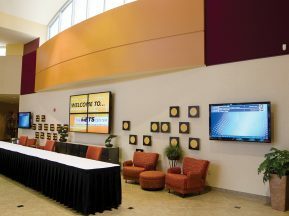 At the main entrance, a selection of backlit panels with reoccurring school events was developed that could be switched out by the client. 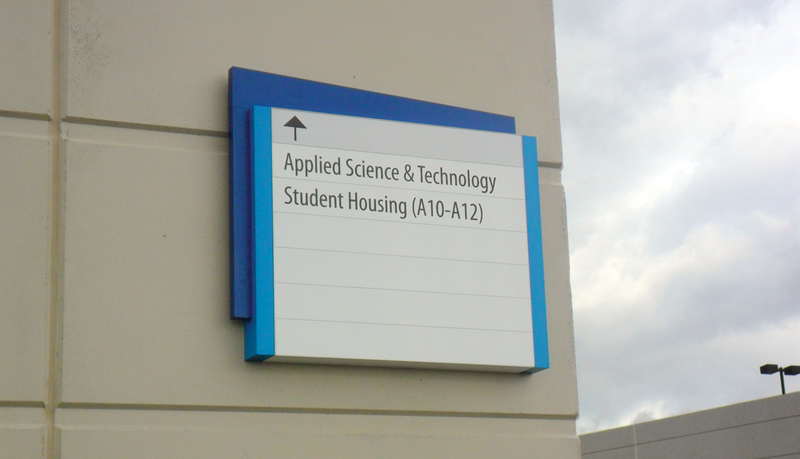 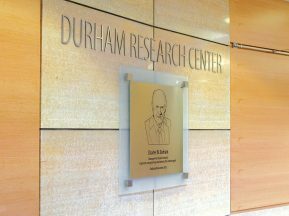 The result was their ability to effortlessly update the sign to reflect current activities while maintaining a “permanent” look. 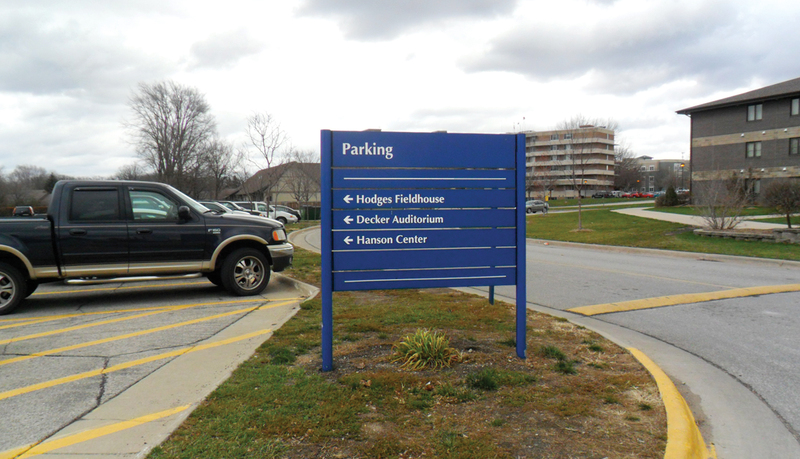 Furthermore we were able to observe vehicle traffic, identify bottlenecks, and install the new signage in optimal areas to improve the flow of traffic. 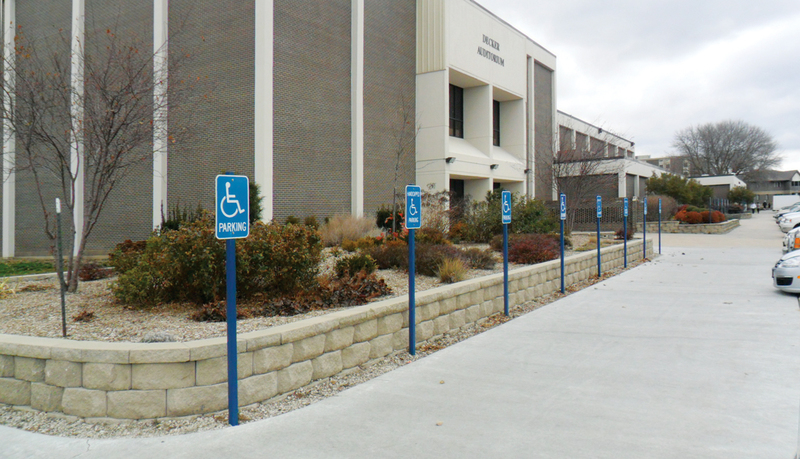 The finished project featured changeable panels on all directional signs, pedestrian maps, and parking lot identification. 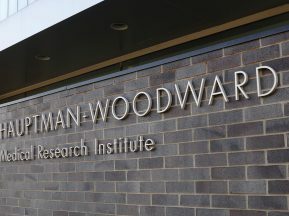 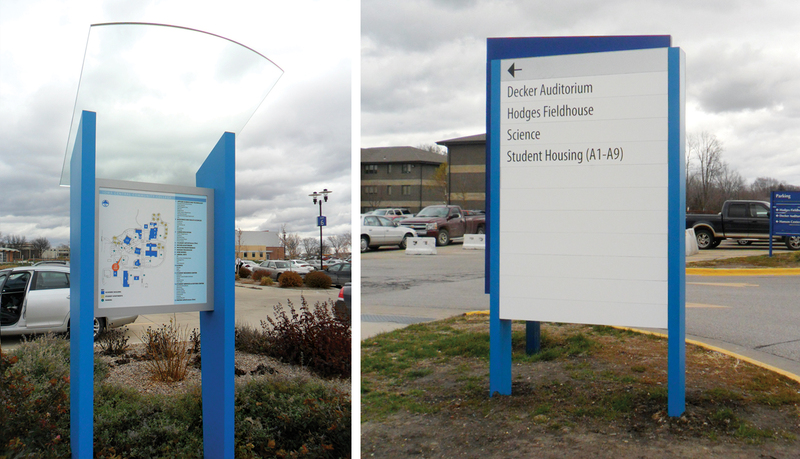 The two large campus gateway signs were designed to hold an illuminated, changeable bottom insert, a custom element that the school requested, for announcing temporary and special events on campus. 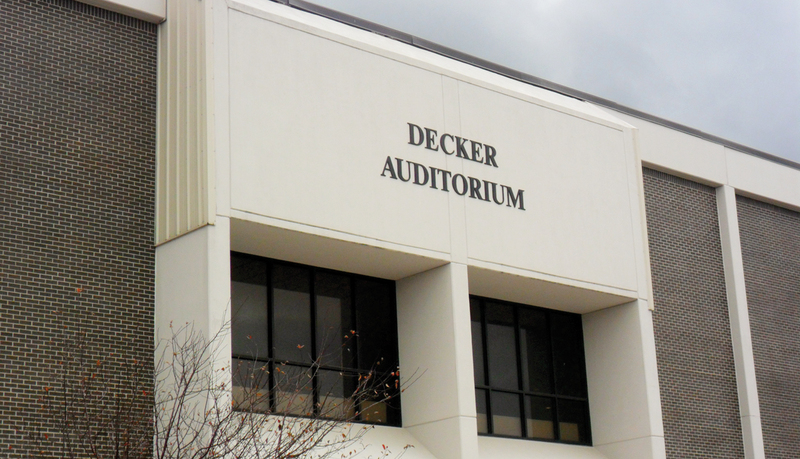 The system also carries the school’s colors in the design and displays the logo at key locations.